It is extremely easy to become confused between Manga and Anime if you're new to both. Simply put, ‘Manga’ refers to comic books and ‘Anime’ refers to animated videos. The confusion can sometimes stem from the fact that most Anime is based on Manga. In some cases, Anime can be created many years after the Manga was originally written. One such Anime is ‘Astro Boy’ created originally as Manga by Osamu Tezuka. The animated version of 'Astro Boy' eventually screened on Japanese television almost ten years after the creation of the Manga. Anime based on Manga may not always follow the original storyline. A good example of this is the hugely popular ‘Naruto’ Manga. 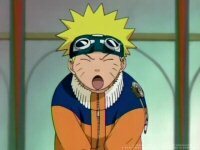 Naruto is now into its 302nd chapter (at the time of writing) and there have been 179 episodes of Naruto Anime released. Although both of these mediums are popular with fans, Naruto Anime has deviated from the original Manga storyline considerably. The Anime episodes that have been recently released are commonly referred to as ‘fillers’. Fillers are episodes of Anime that do not follow the original storyline of the Manga. ‘Filler’ episodes have become a hot topic of discussion on many Manga and Anime community message boards around the globe. Now that we know the main differences between Manga and Anime, what exactly is a 'Live Action Movie?' The other ‘silent’ partner in the Manga/Anime relationship is the ‘Live Action Movie’. This is the name given to films that distinguish the difference between animated movies and movies that feature real people. Although Live Action Movies are not as common or as popular as Anime, there have been a few Live Action Movies recently released based on Manga. 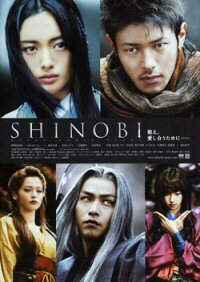 ‘Shinobi – Heart Under Blade’ released in 2005 is based on the Manga ‘Basilisk’ by Masaki Segawa and ‘Death Note’ the Live Action Movie based on the popular Manga of the same name will be released by Warner Brothers Japan later this year. So we have Manga, Anime and Live Action Movies. What about the Graphic Novel? As previously explained, Graphic Novels can also be called Manga and vice versa. Again, this can be very confusing for newcomers because in some circles, Graphic Novels are actually quite different to Japanese Manga. The main difference between Graphic Novels and Manga is basically size. Graphic Novels tend to be much longer in length than Manga, consisting of anywhere between 300 to 600 pages whilst Manga can often be as short as 30 pages in length. To add to the confusion, Graphic Novels have also been adapted into Live Action Movies. ‘V for Vendetta’ by Alan Moore and David Lloyd is one such movie. Alan Moore is also credited with the creation of the Graphic Novels ‘Constantine’ and ‘League of Extraordinary Gentlemen’ both of which were also made into Hollywood movies. Now that you have acquired a little knowledge about Manga, it’s time to talk about getting out there and sourcing some Manga to read. There are many places to source Manga. There are also many different ways to source Manga which we will cover a little later on. Distributors and publishing houses are probably a good place to start looking. That way, you will be able to learn a little bit more about the different types of Manga that are published and by whom. If you're not really interested in going down this track, you can skip this and just mosey on over to the section that deals with different ways to source Manga. You don’t have to know who distributes or publishes Manga to be able to source it but it’s all part of the bigger picture. After-all, anyone who ever liked reading comic books has probably heard of DC and Marvel. Well, there are also equivalents of ‘DC’ and ‘Marvel’ for Manga. It all depends on where in the world you will be sourcing your Manga and what type of Manga is easiest for you to read. 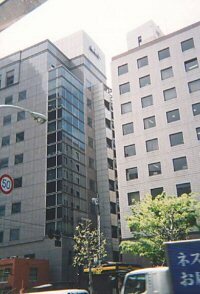 For instance, if you're Japanese, you will want to be familiar with Shueisha and Tokyopop. If you live in the States, you will more than likely want to familiarise yourselves with Dark Horse Comics, VIZ Media, and Del Rey (Random House). All of these names are big in the Manga industry and during your pursuit of good Manga to read, you will probably come across these names more than once. If you want to know more, just Google any one of those names and read what you find. If you can read and understand Japanese, even better. The next step is sourcing Manga. Publishers will sometimes sell Manga, other times they supply it to distributors. You can also buy directly online from bookstores. You can visit your local library and see if they hold any Manga titles under the ‘Graphic Novels’ section. And if none of those things take your fancy or you're of meagre means, there is always the wonderful world of the internet. Before we continue, we would like to state that under no circumstances do we condone the practice of illegally accessing licensed Manga from the internet. The internet is rife with access to all sorts of illegally obtained information. Manga is no different. File sharing applications have opened up a world of access to all sorts of things including Scanlated Manga. What exactly is ‘Scanlated Manga?’ Scanlation is the method used by a person or a group of people to publish licensed (and unlicensed) Manga and provide access to it via the internet. The original work of Manga is acquired (usually referred to as RAW Manga) and then translated (to English) and scanned using various methods, most of which are comprehensively covered in documentation all over the internet. We will not be covering that topic in this article but again, if you wish to learn more about Scanlation, Google is your friend. There is also another type of Manga that is quickly becoming popular amongst Manga fans - Web Based Manga or Web Comics. As the name suggests, this is a form of Manga that is completely accessed via a web page, usually using a 'Web Comic' format or application to read the Manga online. Comic readers are quite common and easy to locate and download to your computer. Some distributors charge the public to download the Manga they want to read chapter by chapter which can then be saved to the computer and read using software to view the Manga in comic book format. Now you should be ready to venture forth into the world of Manga with a better working knowledge of what Manga is and how to source it. Here is a list of links to websites/resources that I have found invaluable in my quest to learn about the wonderful world of Manga. www.manganews.net - Manganews has been around for a while and is extremely well known as one of the best sources of information about Scanlation, Releases, Scanlating Groups and Manga-ka. Manganews also has a great news section. www.animenewsnetwork.com - ANN is also one of the better websites to use to source information on both Manga and Anime. Regularly updated and a definitive web resource for Manga and Anime fans. 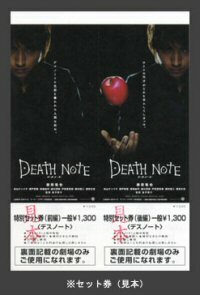 www.shueisha.co.jp - Japanese website for one of Japan's largest international Manga publishers. www.viz.com - One of the big Manga distributors in the US. www.tokyopop.com - If you're interested in Manga, then you should definitely check out Tokyopop - another one of the Major distributors both in Japan and the US. We hope you have found this article interesting and at the very least, informative.